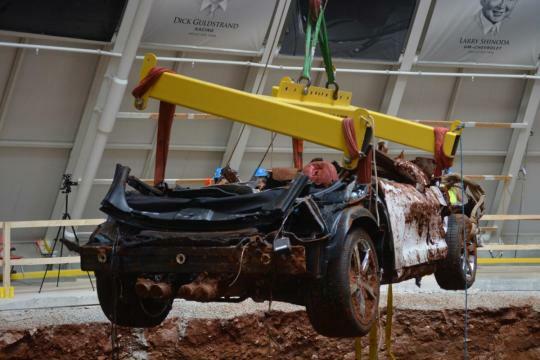 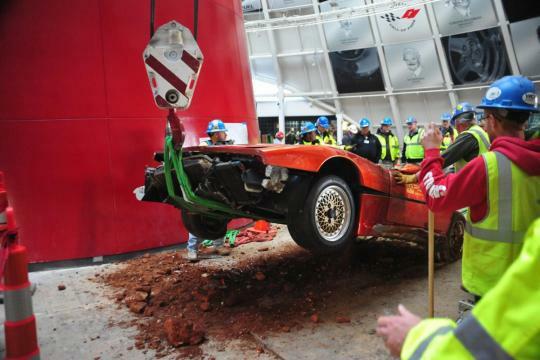 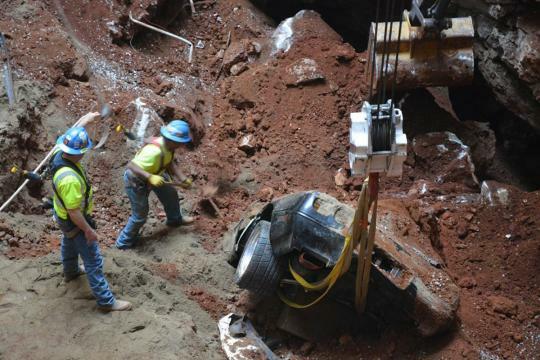 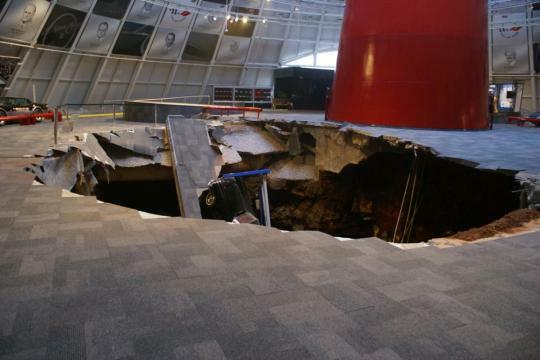 The National Corvette Museum has recovered the last of eight cars that disappeared into a sinkhole underneath the building two months ago. 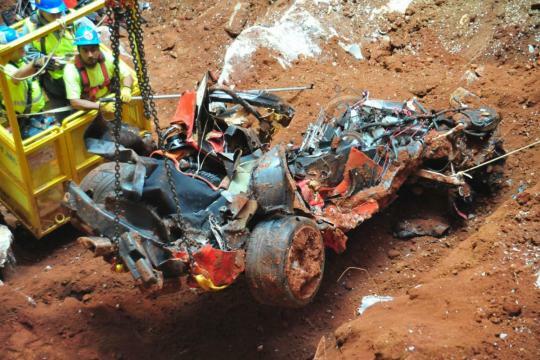 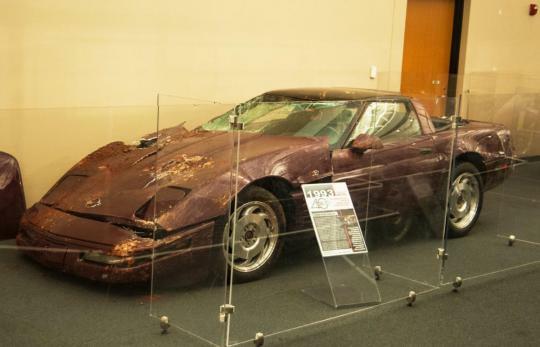 The 2001 "Mallett Hammer" Z06 is hardly recognizable after being crushed by rocks, rubble and the weight of several other cars. 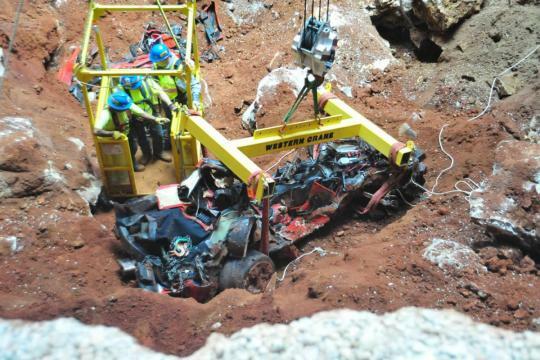 Most of its body was left stuck in the dirt, upside down, as the perimeter frame and drivetrain components were pulled from the hole. 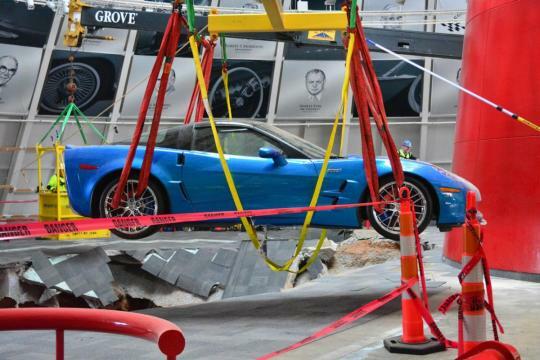 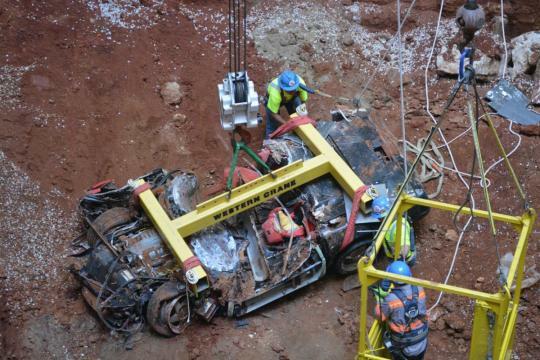 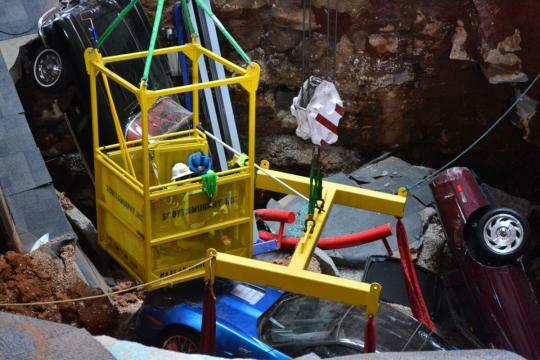 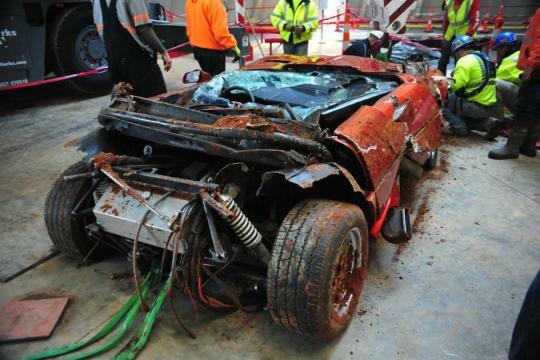 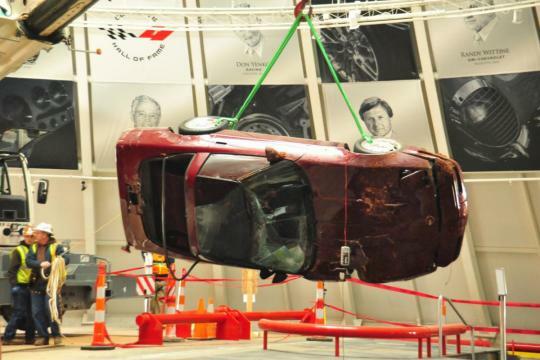 "The 2001 Mallett Hammer Z06 was one of two Corvettes that's whereabouts were initially unknown after the sinkhole happened," the museum noted. 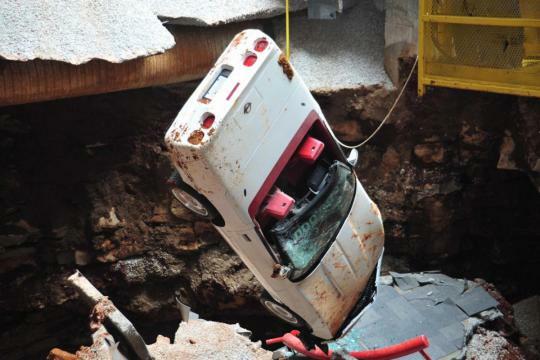 "The car was finally discover this Monday, upside down with the nose pointing towards the red Spire in the center of the room. 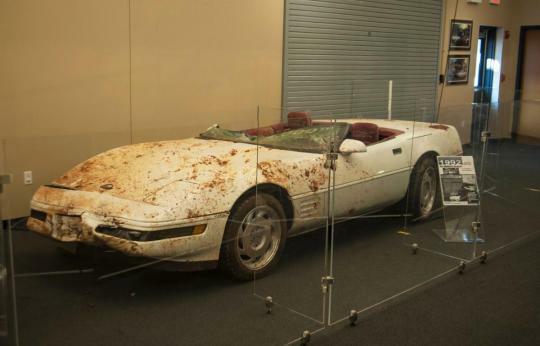 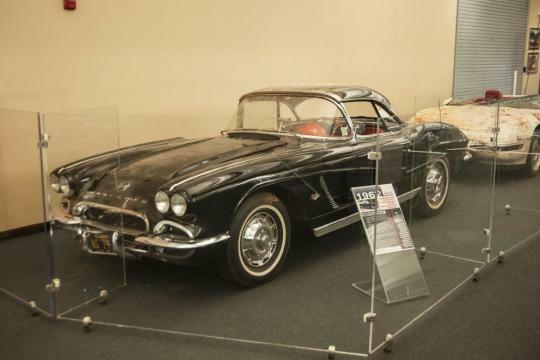 It is, by far, the most heavily damaged of all eight Corvettes." 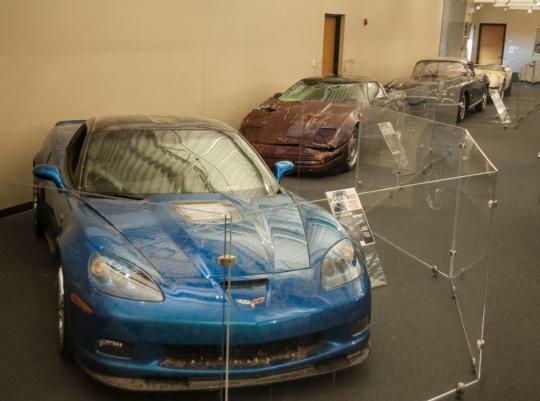 Customized by Mallett Cars, the Z06 was tuned to produce 700 horsepower and 575 lb-ft of torque. 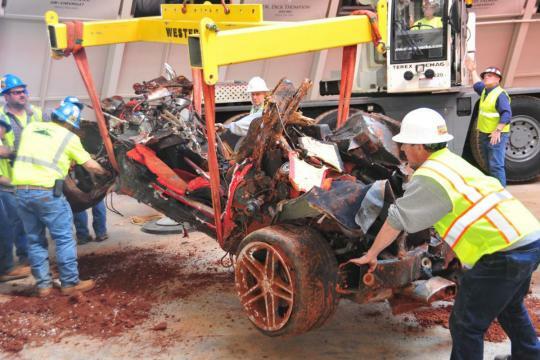 It claimed a quarter-mile run of 10.6 seconds at 128 mph, and reached 181 mph on a one-mile top-speed event. 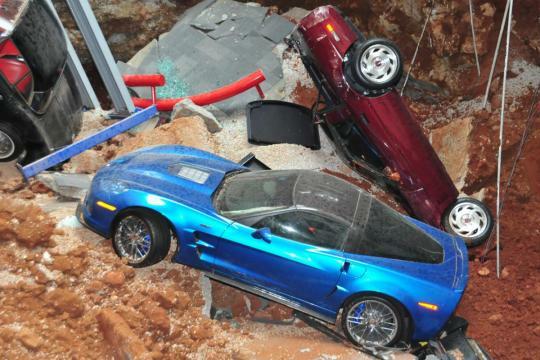 Now that all of the Corvettes have been recovered from the sinkhole, engineers will continue to stabilize the walls before beginning the reconstruction process. 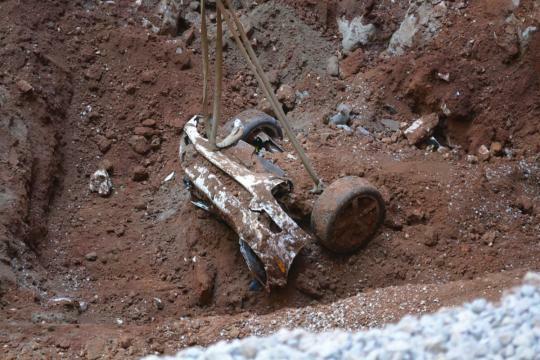 They should just bury all of those junk Covettes instead of recovering them. 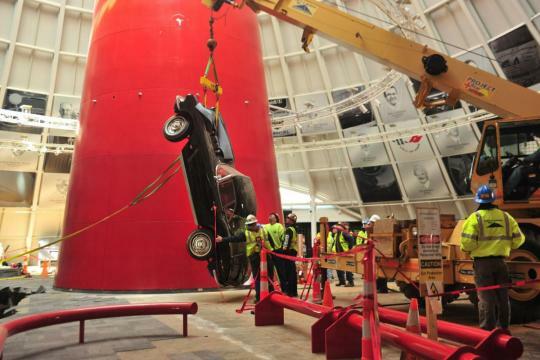 Dumb. 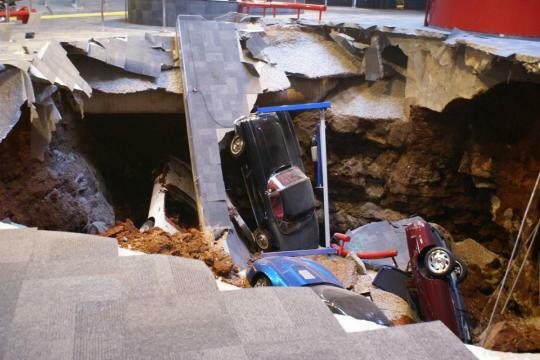 I think a higher power spoke when that sinkhole opened up and swallowed them up in the first place. 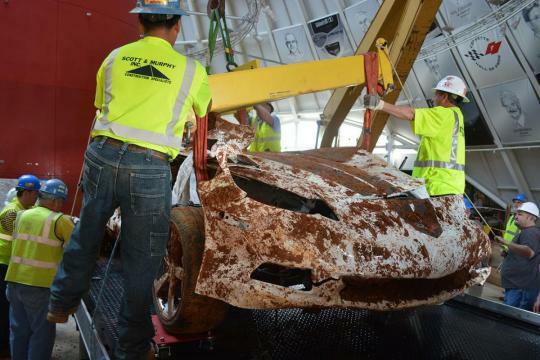 I think God was trying to say you got better things to do than worship a chunk of plastic and metal that means absolutely nothing!